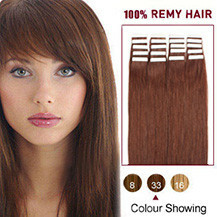 Dark Auburn Tape In Hair Extensions are attached quick and easy by pressing two adhesive, invisible gel strips towards each other with a part of your own hair in between. 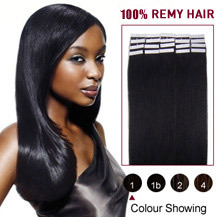 The extensions are completely invisible since the are lying flat down towards your head. 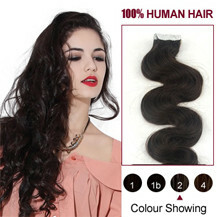 The Dark Auburn Tape In Hair Extensions method, also called seamless or skin weft extensions, is new newest most innovative extension method on the market and is extremely popular. 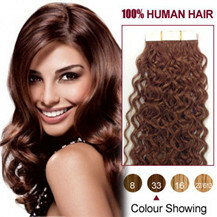 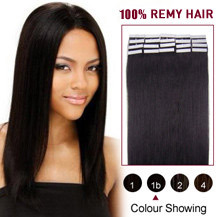 Dark Auburn Tape In Hair Extensions normally lasts 6 to 8 weeks. 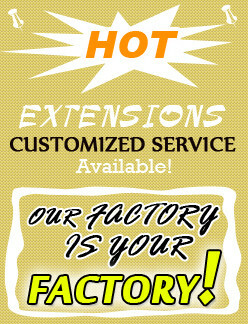 They are also very easy to remove.